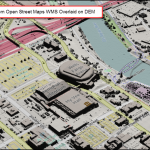 Applied Imagery utilizes LGPL-licensed open source code in our Quick Terrain Modeler and Quick Terrain Reader software. Applied Imagery provides you with absolute freedom to download, modify and distribute the source code provided at the links below. Please note: Source code will be provided AS IS and is based on the LGPL license. Please see below link for details regarding LGPL. Please note that we cannot in any way provide support for the source code or its contents. Please download and review the license agreements prior to downloading the software.